“I first went on gear when I was 17. I met these lads at my baby’s funeral.” Add domestic and sexual abuse and this pretty much sums up the reasons that land the overwhelming majority of women offenders in our prison system. And so,s five inmates amble on to tell us not only about life behind bars but also the prison that was their life long before they were locked up, couched in surreally dark profane humour that somehow offers a glimmer of hope. Ironic scenes from the daily grind in the cells overlap with chilling bad father/bad partner therapy sessions, the agonising consequences of isolation from their children, and the solace of alcohol and drugs. 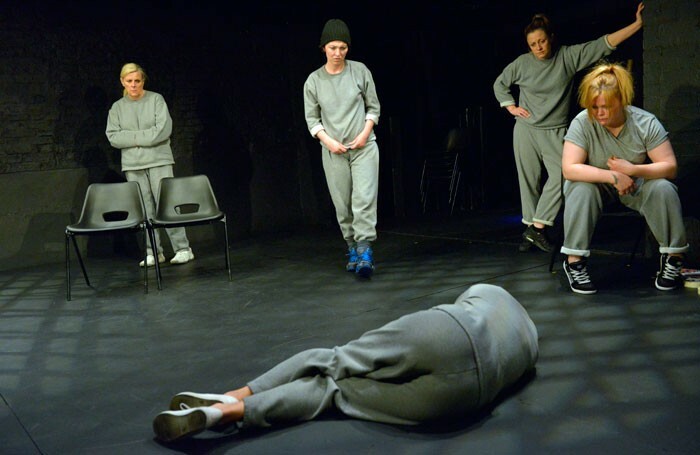 Devised by women in Low Newton, a prison for adults and young offenders in the north east, and directed by Laura Lindow, performers Christina Berriman Dawson, Victoria Copeland, Cheryl Dixon, Judi Earl and Jessica Johnson create a compelling ensemble. And there’s no denying that the combined team have come up with a touching, empowering work that hits the hat-trick of great script, direction and performance. Key Change is notable for being neither sentimental nor in your face, yet refusing to duck the issues. In so doing it becomes a potent lesson in theatremaking for its total fusion of message with audience.